While most brides could not imagine planning their wedding without buying the perfect gown, choosing the right music or hiring the best caterer, those at Amerejuve cannot imagine planning a wedding without making sure each bride is picture perfect when it is time to walk down the aisle. With discounted bridal packages consisting of laser hair removal, facial refining, body sculpting and other beauty options, Amerejuve is here to help brides prepare for their wedding. We know that each bride wants to look beautiful, unique and unforgettable on their wedding day. Our goal is to help those brides look their very best for the most important moment of her life. Amerejuve Inc., Houston’s #1 Medspa and a subsidiary of American Rejuvenation Centers, announces the launch of its Beautiful Bride Package to offer brides-to-be and their wedding parties special discounts on beautifying services while preparing for their big day. Amerejuve's Beautiful Bride Package offers choices for each bride, including some services that deliver short-term, immediate results, such as microdermabrasions, and other services that will last through their honeymoon and beyond, like laser hair removal. Packages include services such as: facial rejuvenation; dermal fillers for smooth, healthy skin; BOTOX®; LATISSE® for full, dark eye lashes; body contouring and cellulite removal with VelaShape™ and SmartLipo™; and laser hair removal to eliminate the irritation of shaving and waxing. "Amerejuve is thrilled to announce our Beautiful Bride Package so that brides can look and feel as beautiful as they are," says COO Frank Naghavi. "We know that each bride wants to look beautiful, unique and unforgettable on their wedding day. Our goal is to help those brides look their very best for the most important moment of her life." Brides know that every eye will be on them on their big day. With facial refining and rejuvenation services through microdermabrasions, chemical peels or photofacials, Amerejuve offers brides a chance to eliminate dark spots, fine lines, wrinkles and other imperfections to give a beautiful, smooth appearance. To plump up lips, define cheekbones or to smooth out any lines in the face, dermal fillers and BOTOX® are other options to ensure each bride is picture perfect. Amerejuve also offers body contouring and SmartLipo™ for those who want a perfect fit in their wedding gown or for those who are prepping for their honeymoon. With VelaShape™ and SmartLipo™, Amerejuve can contour any problem areas such as slimming the waist or trimming the thighs. VelaShape™ and SmartLipo™ are also used for cellulite removal, circumferential reduction and can be used on virtually any area of the body. The last thing any bride wants to think about on their wedding day is body hair. Amerejuve gives brides one less thing to worry about with laser hair removal. With smooth underarms, bikini lines and legs, brides can not only forget about shaving and tweezing on their wedding day, but throughout their honeymoon and beyond. Amerejuve has paired with RedCircle Personalized Weight Management to offer a revolutionary option for brides-to-be with their guaranteed wedding weight loss program “Wedding Gown Slim Down." Their promise is that by following RedCircle's weight and wellness program, each and every bride will fit into her wedding gown by the bride's big day - guaranteed. Whether brides need to drop a little or a lot, RedCircle will make sure they meet their goal by following a personalized weight management program uniquely tailored to each individual’s genetic make-up, metabolism and cardiometabolic profile. Every client at RedCircle is monitored each week by doctors and staff to ensure their brides stay on track to meet their goal. 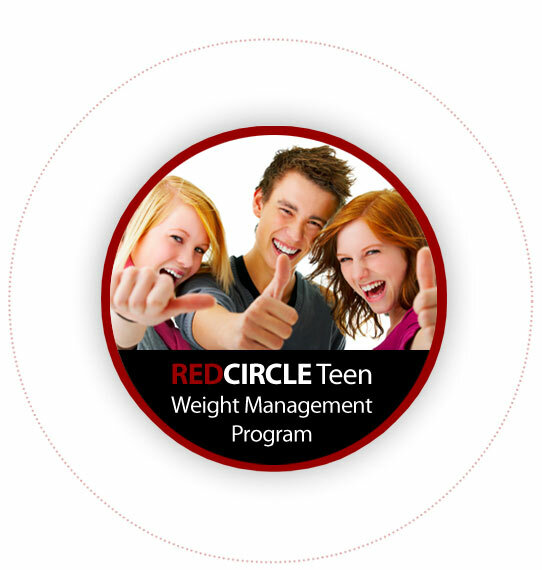 RedCircle’s weight loss and wellness program is much more than a diet; it’s a comprehensive but personalized approach to promote and maintain weight loss, improve cardiovascular health, and rebalance and optimize hormone levels. Find out more about RedCircle on their website at http://www.myredcircle.com. With so many locations throughout the Greater Houston Area, Amerejuve has become Houston’s number one provider of laser hair removal, cosmetic and non-surgical skin treatments. MedSpa services include BOTOX®, RADIESSE®, Restylane®, JUVÉDERM®, ReFirme™, VelaShape™, SmartLipo™, CoolSculpting by Zeltiq®, Zerona®, cellulite and circumferential reduction, laser-based skin rejuvenation, skin tightening, microdermabrasion and chemical peels, all available at Amerejuve’s eight state-of-the-art facilities with locations now in Katy, Sugar Land, Clear Lake and League City, Northwest Houston, the Galleria area, Memorial, The Woodlands and Kingwood. To schedule a free consultation at any of the eight Amerejuve locations, please call (713) 960-6262 or visit them on the web at http://www.amerejuve.com. Amerejuve can also be found on Facebook, Twitter, and YouTube, where they offer weekly prizes and giveaways.